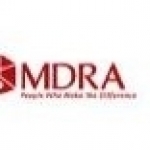 Marketing & Development Research Associates (MDRA) is having opening in market research profiles. Your profile can be taken into consideration. Aspirants having exposure in Primary as well as secondary research. - Proposal Writing/ Research design/Sampling Plan/Project briefing to the team/ co-ordinate with the field supervisor/Report writing.